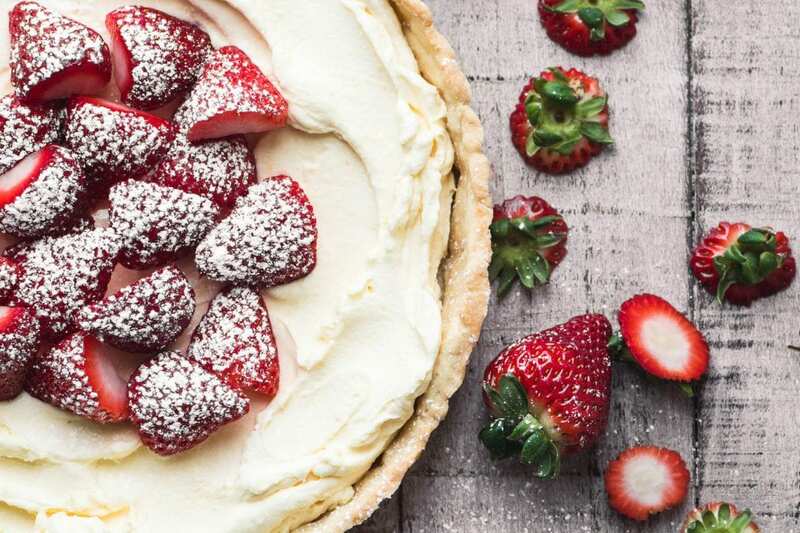 This is the kind of easy dessert that serves you well when you spot those great strawberries at the market and want to use them asap. 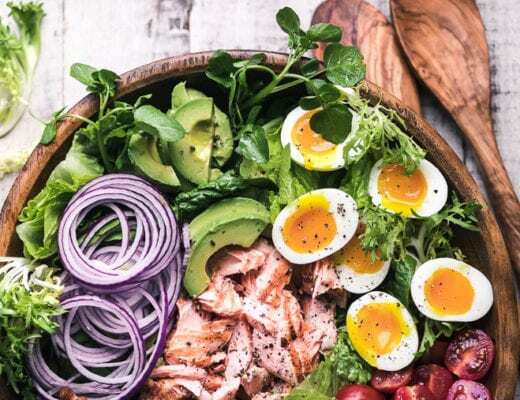 When there’s no time for elaborate recipe searches or crazy ingredient lists, it pays to have a recipe like this to turn to. I set out to create a light spring/summer tart that required minimal cooking and could be made ahead. 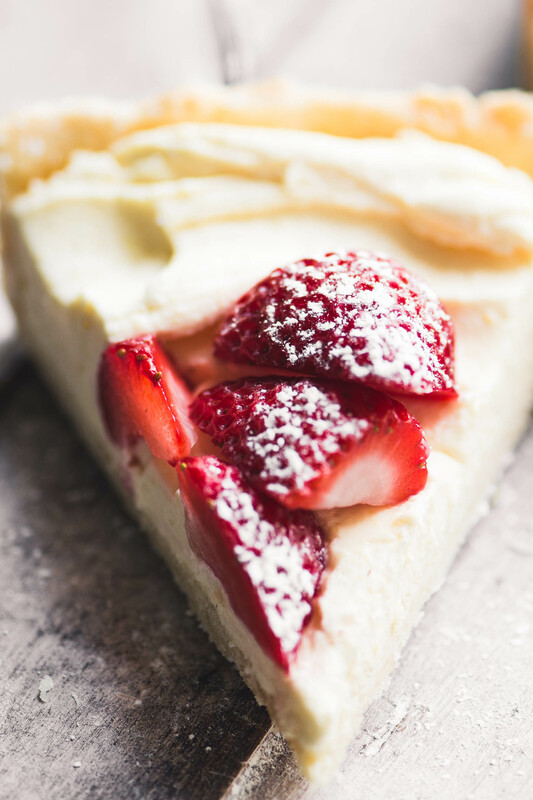 This recipe is the result of several trials and errors…while my baked crust waited patiently for me, I went through 3 pints of cream trying to come up with a smooth, creamy, EASY filling. I finally ended up with an uber simple whipped blend of heavy cream and, wait for it…instant vanilla pudding mix. I know, but hold that thought. I only used half a box, and I disguised augmented the flavor with good vanilla extract. The pudding mix serves to thicken and stabilize the cream, and it’s drop dead easy. Save the other half of the packet for your next tart. I made the shortbread crust from scratch, but honestly it just takes a minute in the processor, and even if you’re rolling pin challenged (hands up here) you can just patch any wonky parts with your fingers, no one’s gonna know. I blind bake it, (weighed down with dried beans) and then it’s ready whenever you are. You can make it a day ahead if you like. And feel free to use a ready made crust, or make a quick crumb crust. 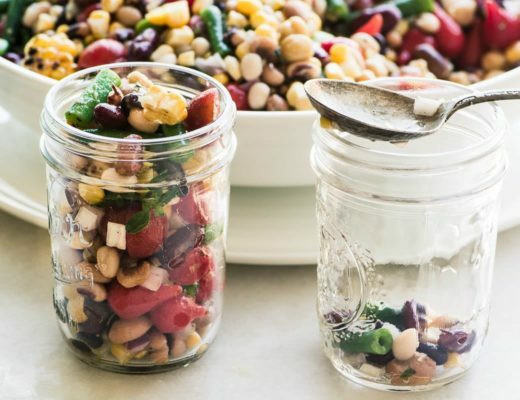 This kind of recipe isn’t meant to stress you out in any way. 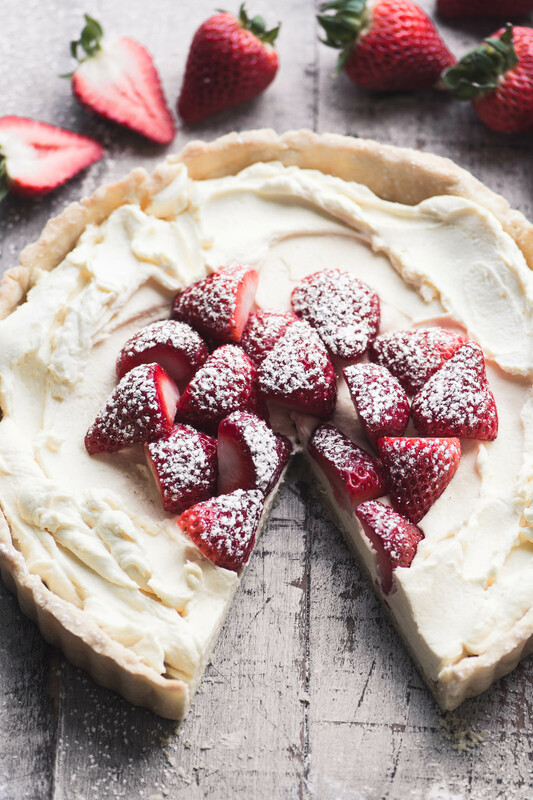 Great berries are definitely key for this tart, and if you’re lucky enough to find ripe seasonal berries, you can simply slice and use as is, like I’ve done ~ they’re incredible that way. Macerating is a great method for drawing out the juices of the berries and intensifying their flavor. It’s a neat trick for when you have berries that aren’t super flavorful, red, or juicy. Place the berries in a bowl and sprinkle lightly with granulated sugar, about a tablespoon per cup. Toss well and let the berries sit at room temperature for about an hour, giving them a stir now and again. You can even leave them in the fridge overnight. They’ll release their juices and become wonderful. Flavor your berries with a little dash of balsamic vinegar, vanilla extract, lemon juice, or liqueur if you like. Spoon the berries and juice over the tart just before serving. Put the flour and sugar in the bowl of a food processor and pulse to combine. Add the cold butter and pulse until the mixture resembles coarse crumbs. About 30 or so pulses. Pulse in the egg until the mixture comes together. Roll out the dough to fit your 9 or 10 inch tart pan and pat in place. (I like to use tart pans that have the removable bottoms, so you can easily pop out the tart for easy cutting and pretty presentation.) Patch any tears with your fingers. Pierce the bottom all over with a fork, and then place a piece of crumpled parchment paper on top. 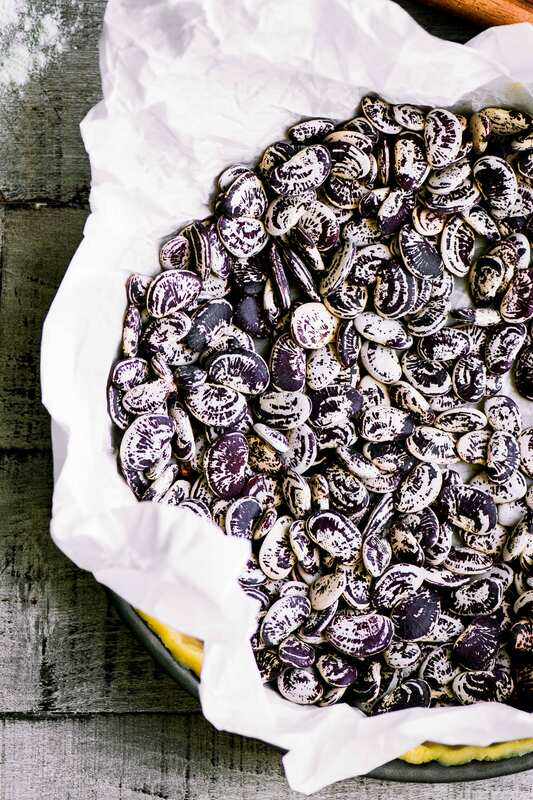 Fill with dried beans, which will prevent the crust from puffing as it bakes. Bake for 15 minutes. Then remove the beans and paper, and bake a further 5-10 minutes, until the pastry is firm and dry to the touch. It will still be pale. Set aside to cool on a rack. To make the filling, put the cream in a mixing bowl, along with the vanilla extract. 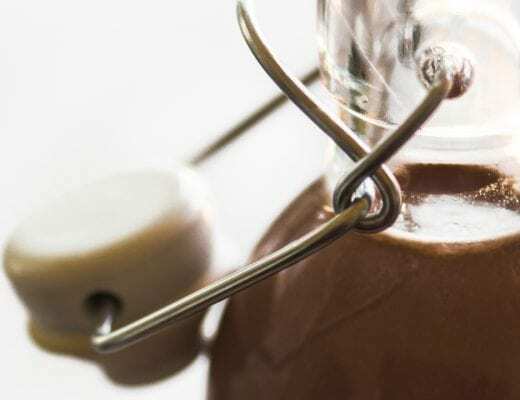 Whisk in the pudding mix, whisking gently until the mixture thickens. This doesn't take long, maybe about a minute or two. DO NOT be tempted to try to whip this mixture, the pudding mix will thicken it instantly without whipping. When the mixture is thickened, spread it into the cooled crust. Top with the berries, and dust with powdered sugar. There are so many ways to change up the filling, including using sweetened whipped cream all by itself. The slices won’t be as neat, but who cares? Any custard, pudding, or pastry cream recipe will work, too. Add the seeds of a vanilla bean to the filling for a touch of luxury. Drizzle the tart with melted chocolate. Why not serve this in parfait glasses ~ you can put crushed shortbread cookies or graham cracker crumbs at the bottom of the glass. 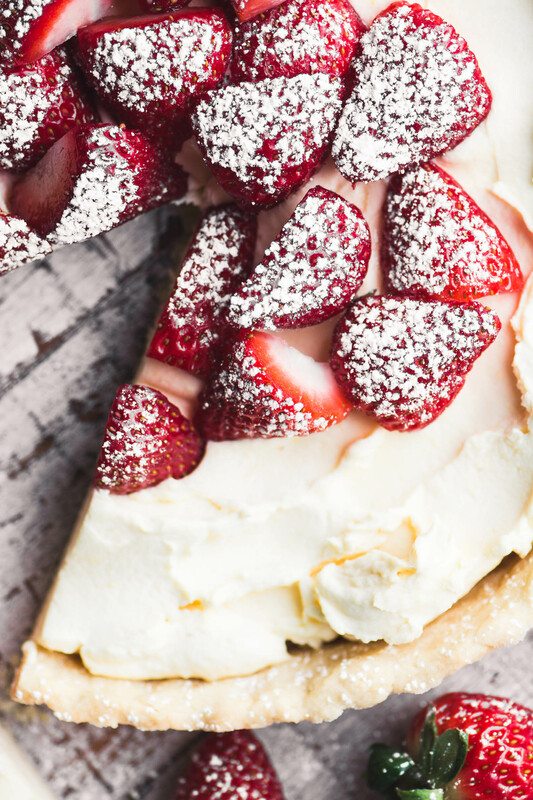 Don’t forget to pin this easy Strawberries and Cream Tart! I always add some instant pudding powder (Vanilla) to my cream before whipping – just to stabilise the cream when it might have to sit for a little while. I also add 1-2 tablespoons of some sort of liquer (Amaretti, Cointreau, brandy….) before whipping. Cream is such a wonderful vehicle for adding some flavours to excite the palate and enhance any fruit that you may be using. This is a great tart Sue, it’s reminds me of a similar German version. I will definitely try this, thanks for the recipe. Pinned! Pinning.. What a beautiful dessert that I must make as soon as our local strawberries make an appearance. Love the vanilla pudding. 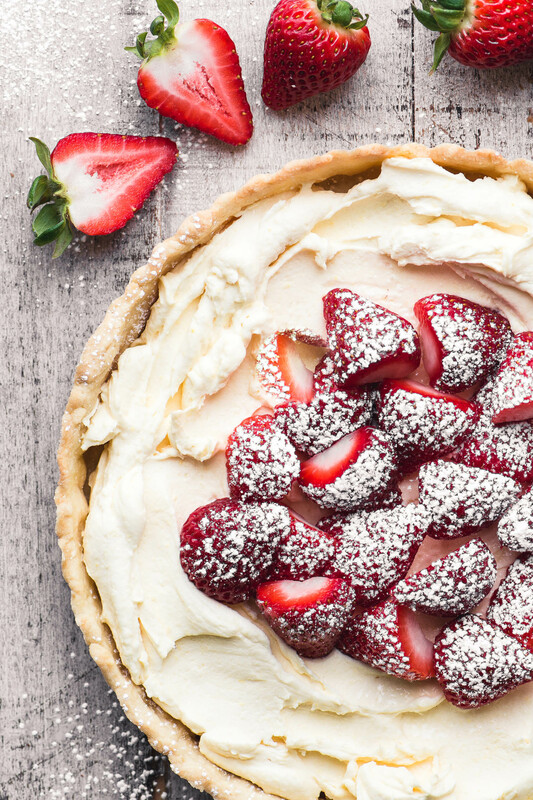 I’m so ready for spring berries and this is such a lovely tart! Can you use regular vanilla pudding mix? I don’t like the taste of instant. The regular cook and serve pudding mix doesn’t work in the same way, Ginny, but you might be surprised to find that there isn’t an artificial flavor to this tart filling, the way I make it. I absolutely love how effortless this is, Sue! Beautiful closeups :D ! That’s almost the recipe for my fruit salad. Too yummy!!! You can use a 9 or a 10 inch tart pan, Elizabeth, but you could even do mini tarts and split up the crust dough. You’re speaking my language here—I love berry desserts and this one is right up my alley. I used to avoid using pudding mixes, but they really do something magical to certain recipes. And no one would ever guess unless you tell!! You are the queen of strawberry desserts, Liz! Beautiful and it’s sounds crazy delicious! A win-win! Strawberry season always gets me excited! Love how easy and beautiful this tart is Sue – you are an artist! Sharing and pinning and wishing I could have a slice. Beautiful tart! A perfect way to enjoy beautiful strawberries! I absolutely LOVE simple desserts like this one Sue! Will get this one on my baking list soon! I am waiting for the local strawberries…now we just have some from Spain…and they are juicy enough (for the salad or dressing should be fine), but flavourless for a dessert like this. Save this! Thanks, Sue! I know what you mean, it’s so frustrating. I think macerating the berries makes a big difference when they’re not quite in season, so that’s what I often do.